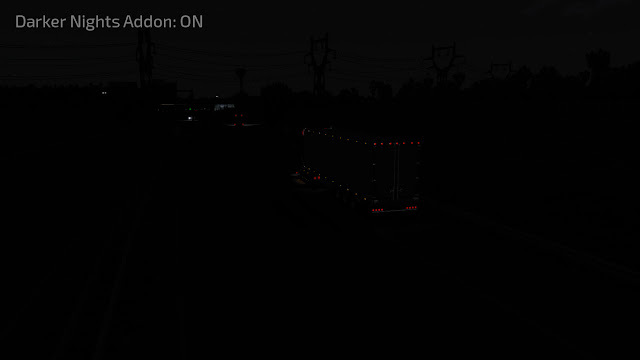  Frkn64 released a new addon for Euro Truck Simulator 2 Realistic Graphics Mod! The nights will be darker and more realistic! This addon makes nights fully darker. 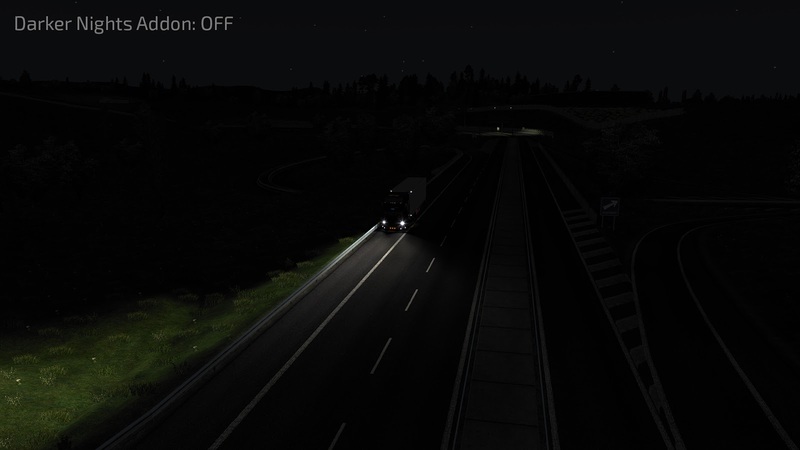 Also reduces the brightness of the daytime graphics a bit. 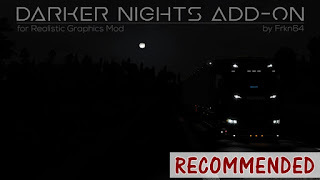 *Compatible with ProMods Map but must have higher priority than Realistic Graphics Mod and ProMods Compatibility addon in Mod Manager. 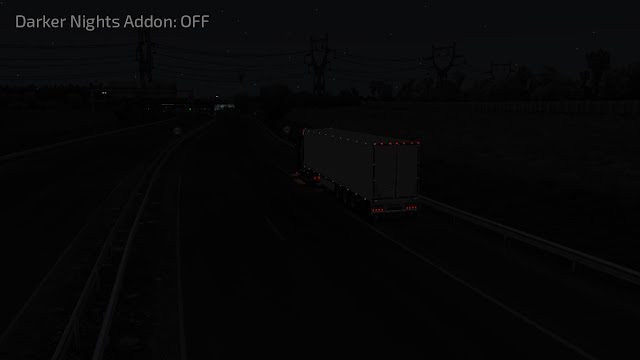 Please note that you need Realistic Graphics Mod to use this addon.